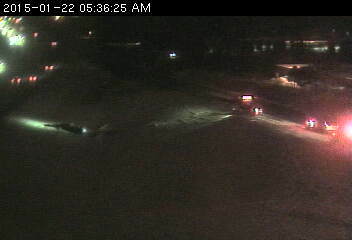 The motorist who parked it in the ditch on the ramp from Shady Oak Road to westbound Hwy. 212 was actually fleeing police. For the time being, the ramp is closed, so plan on using an alternate route. One other blemish on the system at this hour, and that's a spinout on northbound I-35E in the area of Diffley Road in Eagan.